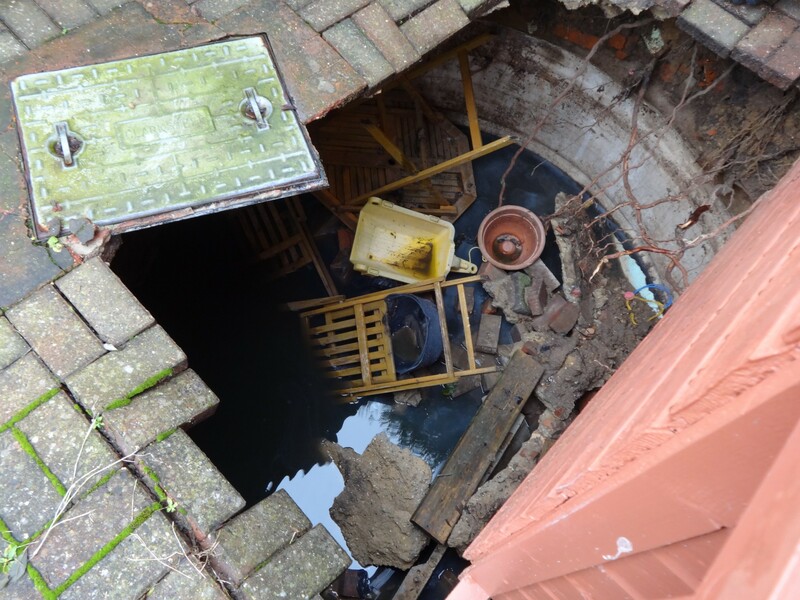 Having a septic tank inspection carried out is not always at the forefront of home buyers minds when purchasing a new property. However, a septic tank inspection can prevent home buyers inheriting a septic tank that is failing or non-compliant, which can potentially cost thousands of pounds to resolve, highlighting the importance of a septic tank inspection. 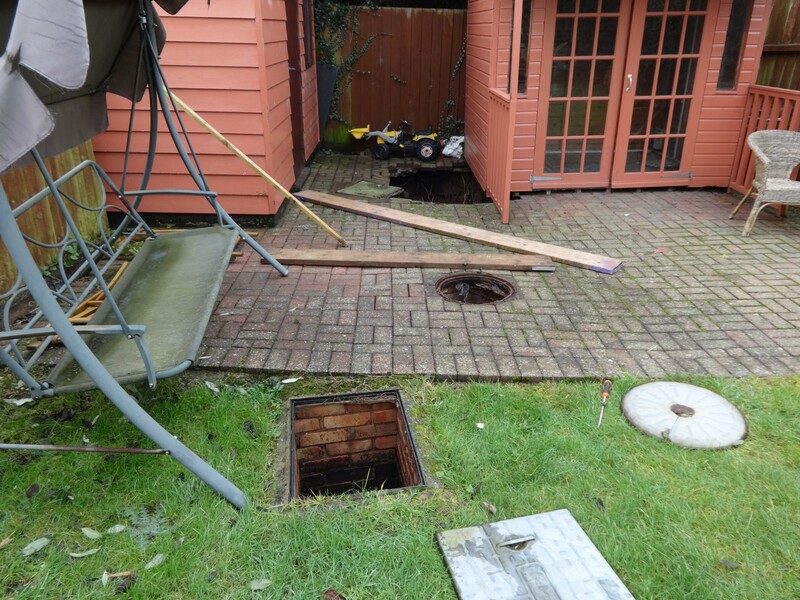 Septic tank inspections are not only important when buying a new property but are just as important for existing owners of septic tanks to ensure their system is compliant with regulations and to highlight any failures of a system before they become severe. 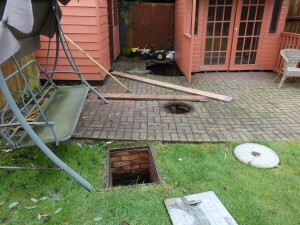 If you are buying a property connected to a septic tank then our septic tank inspection service will identify if the system is working effectively, highlighting any operation problems and compliance with regulations. During a septic tank inspection we can identify if the septic tank is operating at the correct level and determine if the system has failed or surcharged in the past. We are also able to determine if the septic tank is correctly sized. In many instances a septic tank can fail if a larger family start using the system and hydraulically overload the system. Therefore, determining the septic tank is sized for property as opposed to the current users is crucial. 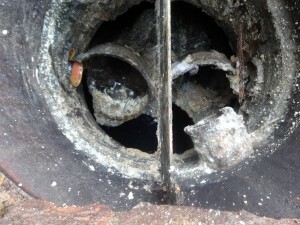 Our septic tank inspections also determine if an existing septic tank is compliant with regulations. A septic tank should only discharge to an underground soakaway / drainage field. 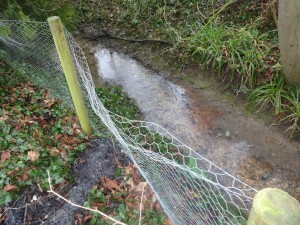 Under no circumstances should a septic tank discharge to a ditch, stream or watercourse. 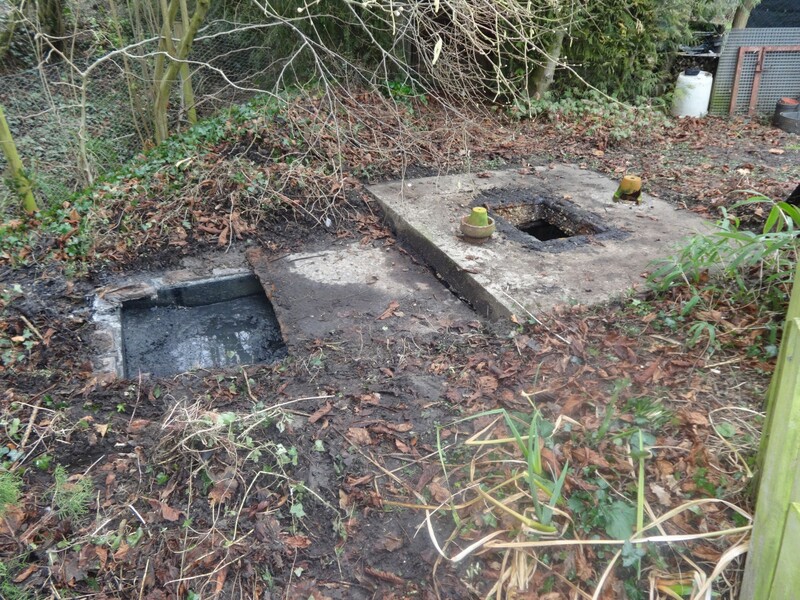 It is not uncommon for septic tanks to discharge to a watercourse, which under the General Binding Rules is an offence. Existing users of septic tanks only tend to think about their septic tank when its due for emptying or when the system is causing problems. 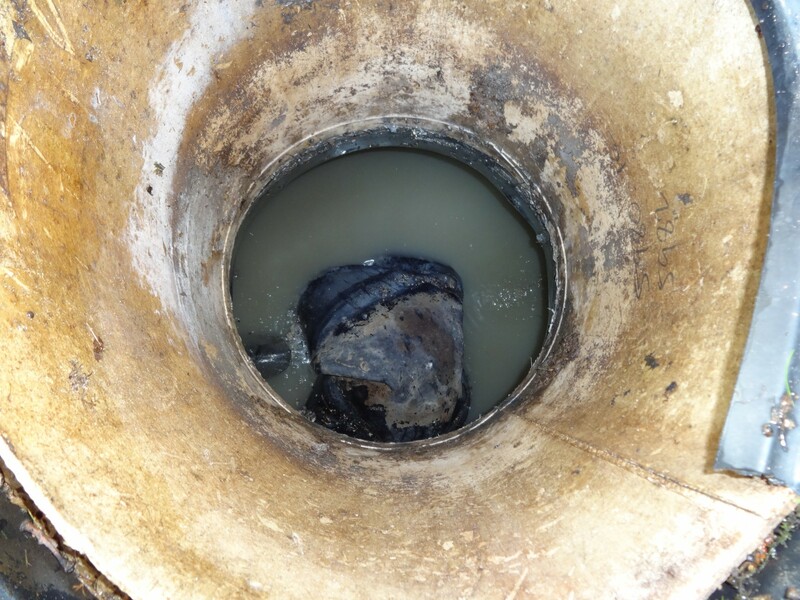 Unfortunately, a failing septic tank can be very frustrating for users as it can effect the use of the drainage facilities and in some instances cause untreated effluent to puddle on the surface of the ground. 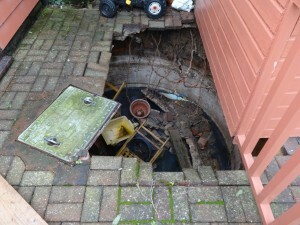 In many instances the failure of a septic tank or receiving soakaway / drainage field can be prevented. 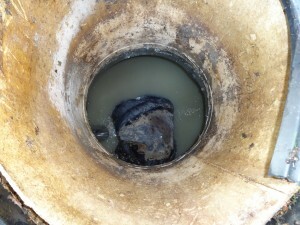 A septic tank inspection will often identify if there are any issues regarding a septic tank that could eventually lead to the failure of a system. Should a septic tank have already failed, our septic tank inspection service will determine the cause for the failure and identify what options are available to resolve the situation. 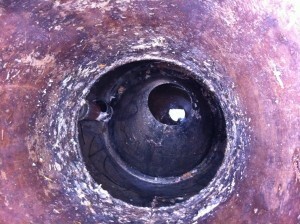 Septic Tank Inspections – What to look out for! We were contacted by the owners of a property on the outskirts of Colchester in Essex requesting a septic tank inspection after the top of their septic tank had collapsed. At this location were contacted to determine why a septic tank was flooding and causing pollution to enter into a watercourse. 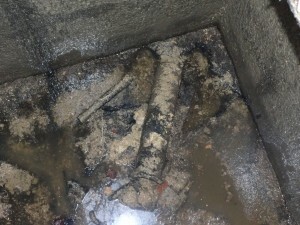 We found that the outlet ‘dip pipe’; this being the pipe connected to the outlet of septic tank had been ‘knocked off’ and was sitting on the floor of the tank. 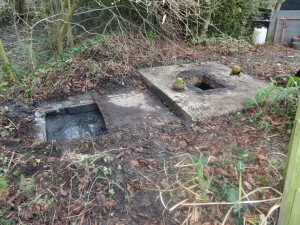 This had allowed floating material such as tissue, oils and fats, which are normally retained within the septic tank, to pass through to the tank and clog the receiving soakaway chamber. 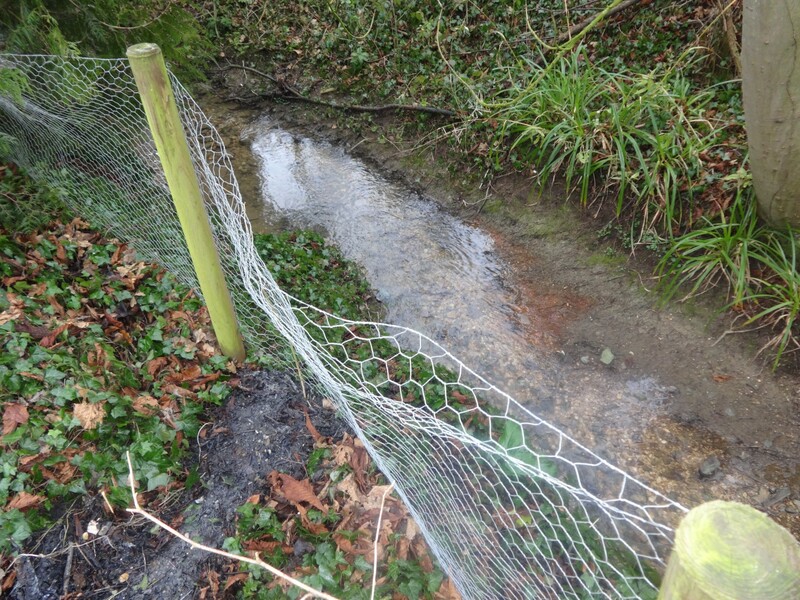 This resulted in the soakaway chamber flooding and untreated effluent draining on the surface to the adjacent watercourse. The majority of modern septic tanks are made from either fiberglass or polyethylene. These septic tanks have some form of internal baffle that separates the tank into two zones. We visit many properties where the internal baffles have become damaged and dislodged during the annual emptying by a vacuum tanker. 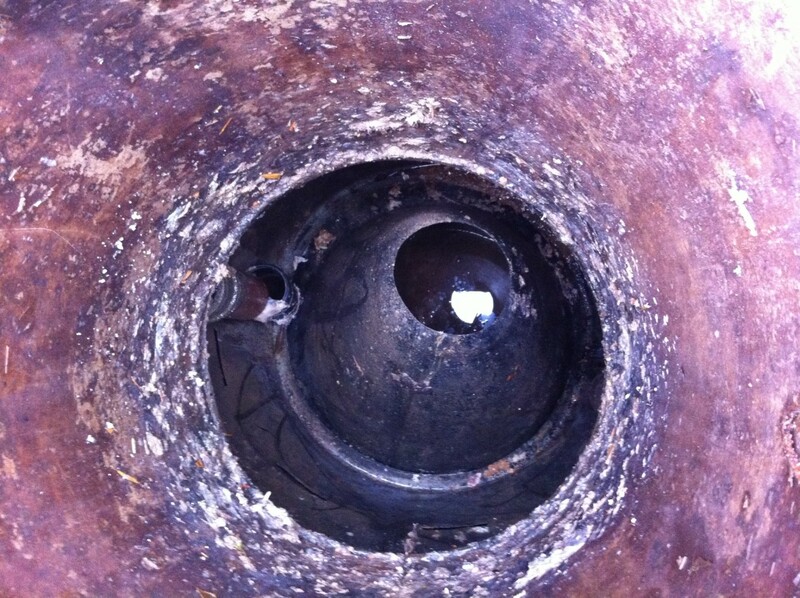 If the internal baffle within a septic tank becomes dislodged, heavy solids and floating material can pass through the tank and into the receiving soakaway / drainage field, which will result in the soakaway / drainage field failing. Operating throughout East Anglia, Southern England and The Thames Valley, Mantair is one of the most established and recognised brands in the domestic septic tank and sewage treatment plant market. Our ‘in house’ expertise and technical knowledge enables us to provide consumers with an unrivaled septic tank inspection service. If you require a septic tank inspection or merely require advice over the phone, contact our team today to see how we can help you, or alternatively fill out the form below.